Weingut Erwin Sabathi, Leutschach a.d.W. is a member of Wein‑Plus and thus supports this wine guide. Thank you! By creating Weingut Erwin Sabathi saved filter, you will see relevant matches on your home screen. The vineyards cover a total of 39 hectares, of which alone on Pössnitzberg 23 hectares. They are exclusively white wines, namely Sauvignon Blanc. Chardonnay. , Yellow muscatel, Pinot Blanc ( Pinot Blanc ) and Pinot Gris ( Pinot gris ) are planted. 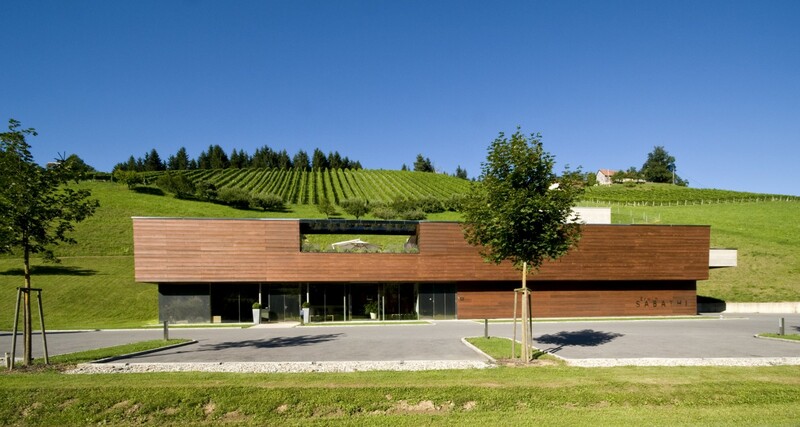 Since 2013, the winery is a member of Styrian terroir & classic wineries (STK). The wines are vinified in the STK lines. The line STEIRISCHE KLASSIK includes fresh, fruity wines matured in stainless steel tanks. The line DORFWEIN comes from various vineyards within the municipality Leutschach on the Wine Route.